Gilbert White’s garden is due to host an exciting art collection this year. Inspired by the Word is a collection of pieces of art by British artists inspired by Hampshire’s great writers. Works inspired by Gilbert White, Jane Austen and Edward Thomas will be on display in venues all over the county to celebrate Hampshire important literary heritage. The exhibition will open at Gilbert White & The Oates Collections on Good Friday and run until the end of September. 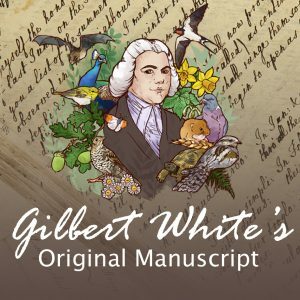 Gilbert’s garden will play host to thirteen different artists work, all inspired by the work and life of the great naturalist, whose Natural History of Selborne is reported to be the fourth most published book in the English language. Artists involved include Danny Clahane, Ayako Furuno, Jason Mulligan, Tracey Sheppard and Roger Stephens, and will be on display to visitors during the museum’s normal opening times and will be included in normal admission prices. 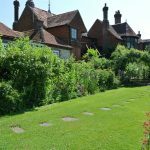 Those wanting to see more can go to Petersfield Museum and the Petersfield Physic Garden to see art inspired by the poetry of Edwards Thomas who died 100 years ago this year and fans of Jane Austen will be able to see works inspired by the great author at Winchester Cathedral and Chawton House Library and The Red House. The exhibition has been achievable thanks to a great partnership between the above attractions and The Garden Gallery, who exhibits and sells contemporary sculpture, ceramics, glass and furniture for gardens and interiors. For more information on the exhibition you can follow Inspired by the Word on facebook and twitter, or by visiting gardengallery.uk.com or gilbertwhiteshouse.org.uk.